I ask because two Cavaliers had two really horrible, uncalled traveling violations. Both Kendrick Perkins and LeBron James was captured on video moving with the ball without dribbling. In most basketball leagues, that’s illegal. 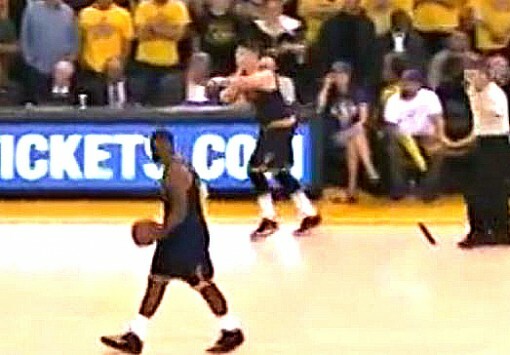 But which was more illegal — Lebron’s walk during Sunday’s game against Golden State or the “Kendrick Perkins’ 9 step shuffle” from a couple months ago? You decide. Both awful. They both win.